1, the heat exchanger cleaning: the heat exchanger and pipeline cleaning is the same in principle. If the design flow 20%-30% higher than the cleaning fluid cleaning, you can get a good cleaning effect. 2. Cleaning of 3BBL Beer Brewing Equipment: there is no fixed cleaning mode for beer equipment and equipment, and cleaning can be carried out according to the general steps of equipment cleaning. 3. The key point of pipeline washing is to play a mechanical role in order to improve the washing effect. When cleaning with hot cleaning liquid, the velocity of washing liquid in the pipe should be kept at 1-1.5m/s. Attention should be paid to the cleaning of carbon dioxide and compressed air pipelines and their accessories. 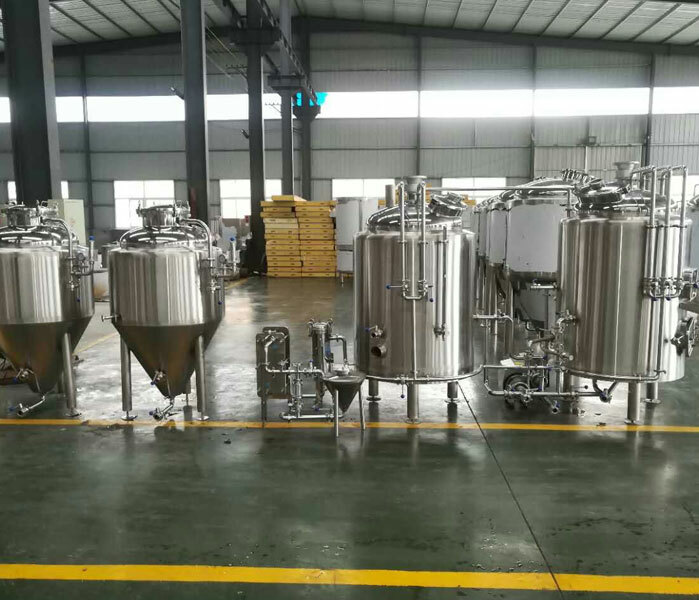 4, the cleaning tank of 2BBL Beer Brewing Equipment can be completed through automatic pot washer, which can be divided into spray ball type and mechanical type. Compared with the spray ball can, the mechanical can be used to wash the lower flow of cleaning fluid. Next: What Are The Storage Methods For Brewed Beer?